Rainy days are just a part of life, especially as we transition out of hot, humid summer days and into fall and our kids transition back to school or daycare, instead of playing outside all day long. But what to do on those last few days of summer or on the weekends when it’s too rainy or cold to go outside? 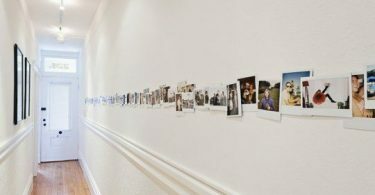 We’ve scoured the internet for some of our favorite rainy day activities that are just as fun for mom as they are for the kids! 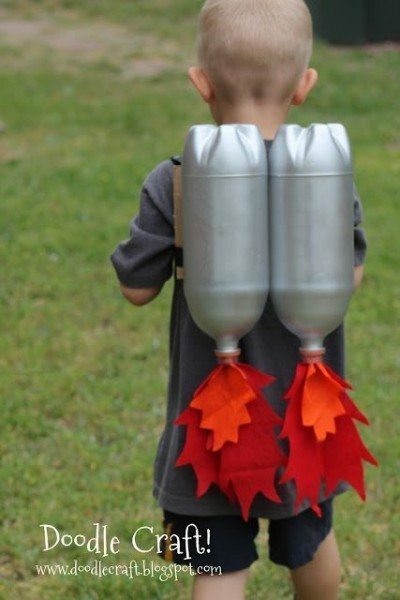 DIY Kid’s Jet Pack – This is a really easy craft that you can put together in less than an hour, but will provide your child with hours of imaginative play. 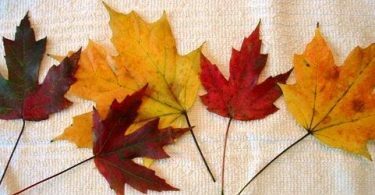 Best of all, they can play with it indoors on rainy days as well as outdoors on sunny days. 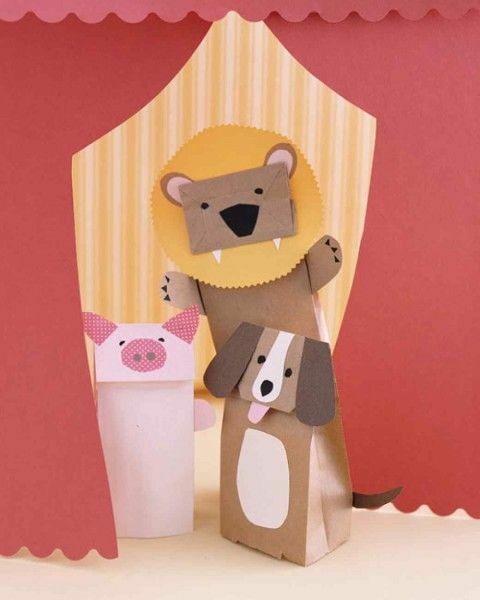 Make Paper Bag Puppets – This is a classic rainy day activity that your kids will love doing. Give them challenges, like making certain animals, then put on a puppet show! 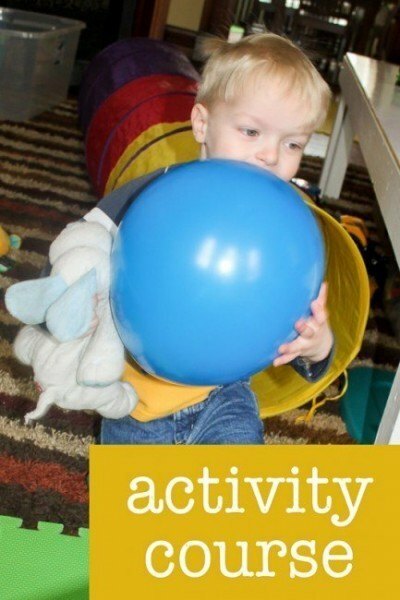 Build an Activity Course – For younger children, you can build a simple activity course inside your home without making too much of a mess. Have your child carry a balloon through several activity spots for a super fun afternoon! 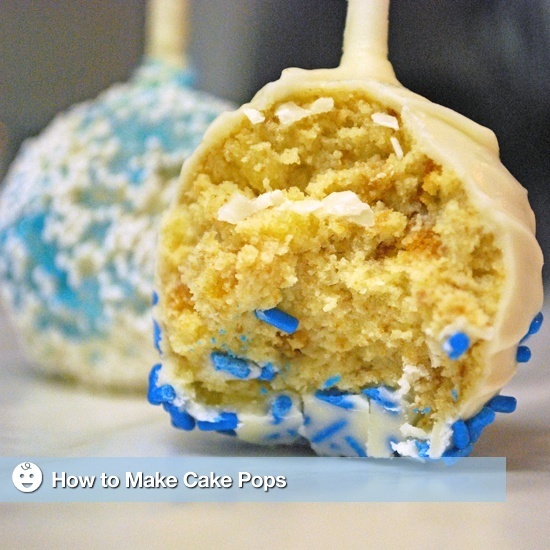 Bake Cake Pops – Baking with the kids on a rainy day is a great way to instill life skills in them early, plus they get a yummy snack! 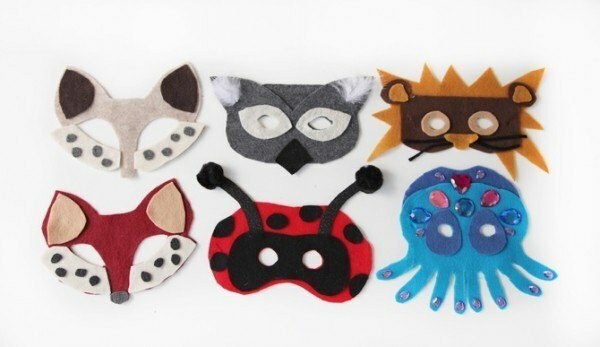 Make Animal Masks – With some colorful felt and embellishments, you can make an array of creative animal masks for imaginative play later on! 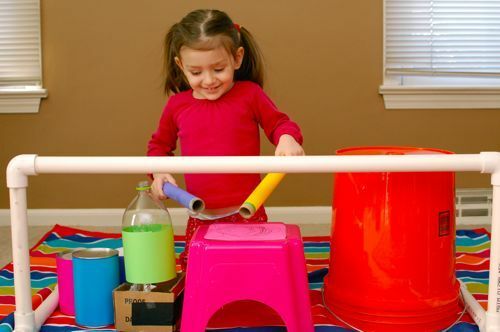 Play a Rainbow Xylophone – This is a science experiment and creative activity in one! 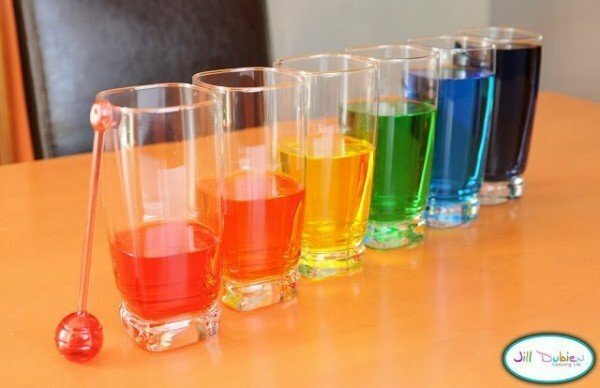 Show your kids how filling the glasses with different volumes of water changes the sound made! 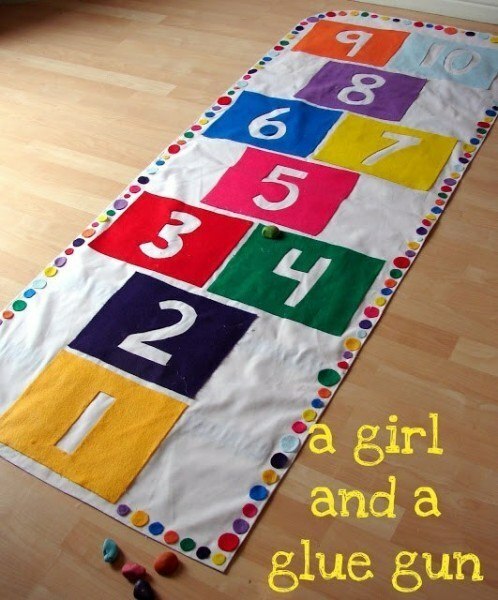 Play Indoor Hopscotch – Using fabric, felt, scissors, and a glue gun, you can make your own roll-away indoor hopscotch mat for rainy days. Use the blank backside to add more games to this board! Open A Flower Shop – Build your favorite kind of store. 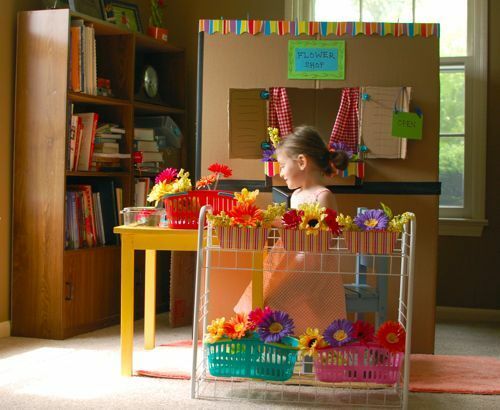 Will you build a flower shop, a restaurant, a grocery store, or something else? The possibilities are only limited by your imagination. 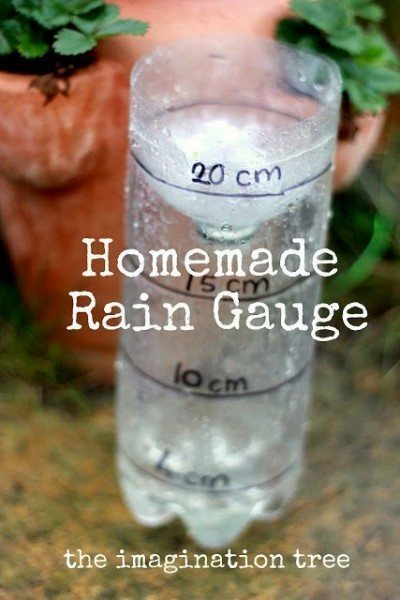 Build a Rain Gauge – On a rainy day, build a rain gauge with your kids and then measure how much rain fell over the course of the storm! Splash in Magic Puddles – After the rain has stopped, step outside for some puddle splashing. 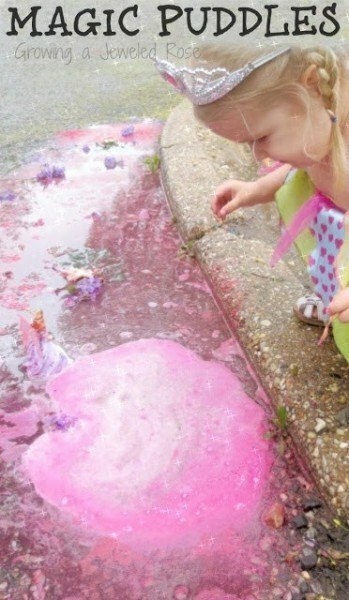 Make it extra magical by adding a “magic potion” to make the puddles fizz and erupt with color! 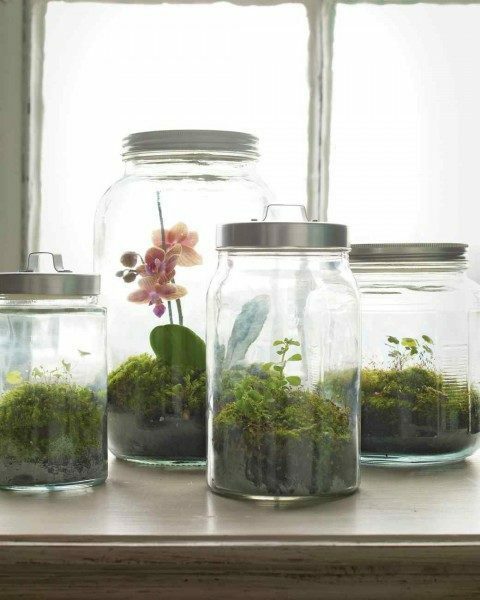 Create a Terrarium – Bring the outdoors in on a rainy day by making your own terrariums! 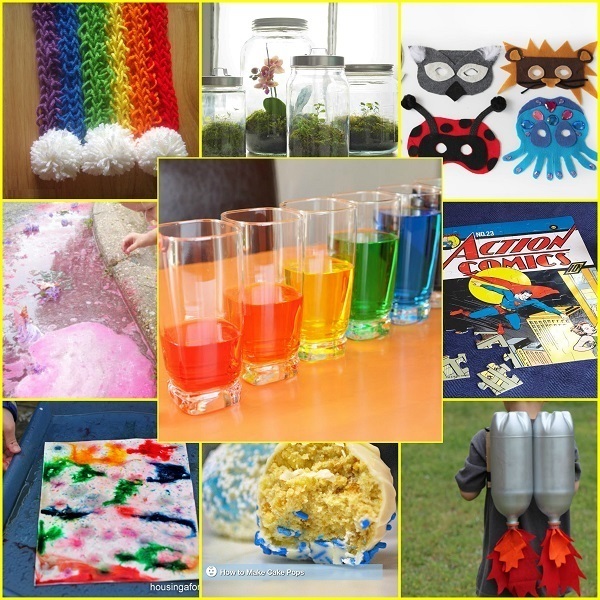 This is a fun and educational project for slightly older children. 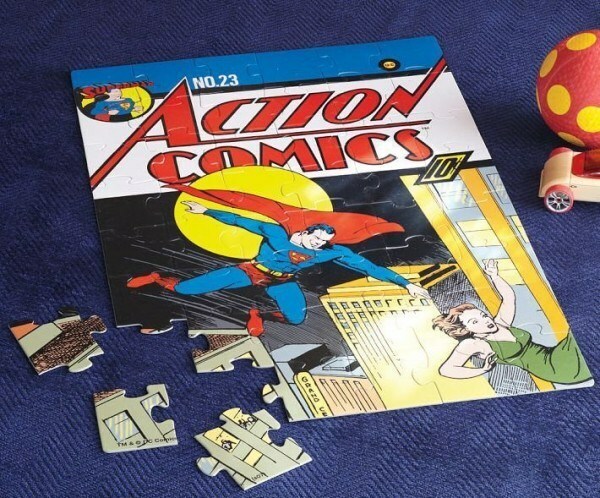 Have a Puzzle Day – This is an old standby for a quiet few hours on a rainy day. Break out the puzzles and put them together as a family! 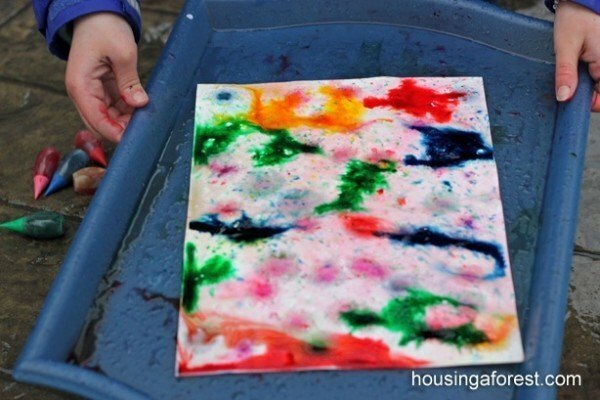 Paint in the Rain – Teach your kids to paint in the rain and create unique works of art you’ll definitely want to hang on the fridge. When they dry, of course. Build a Rhythm Set – If you don’t mind a little noise, set up a rhythm station in the playroom and have your kid cook up some sick beats! 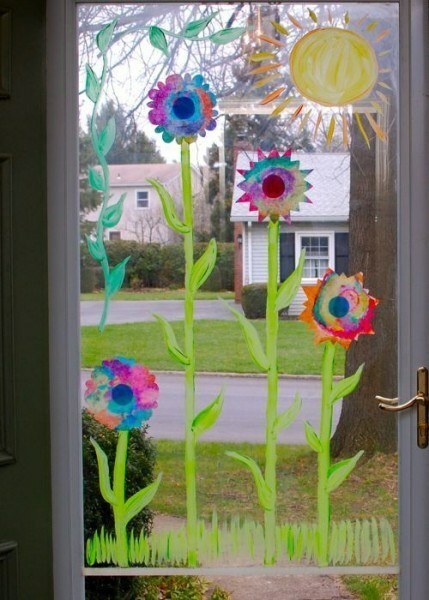 Make Coffee Filter Flowers – If you’re itching for some sunshine and flowers, decorate and cut coffee filters to look like flowers, then attach to your glass door with washable glue and paint on the rest of the scene. For best results, mix a little dish soap with the paint to make cleanup a snap! 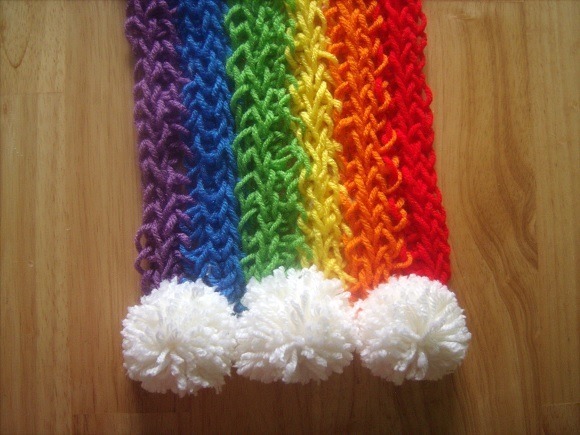 Learn to Finger Knit – Create this adorable rainbow sweater by finger knitting! This is a perfect activity to keep kids occupied for hours while they learn a new skill! 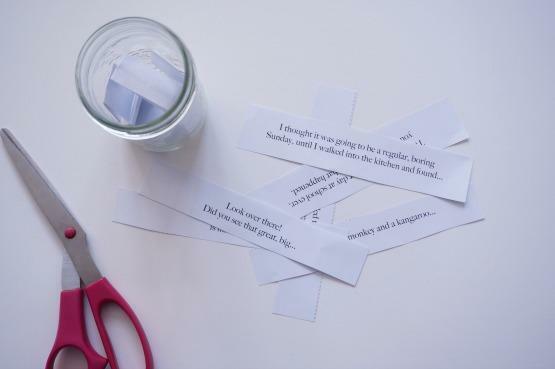 Play a Storytelling Game – Create a jar of story prompts and have the kids cook up the wildest stories based on their prompt.